This entry was posted on Thursday, August 28th, 2014 at 14:27	and is filed under Morale. You can follow any responses to this entry through the RSS 2.0 feed. Both comments and pings are currently closed. 70% won’t get the joke. 20% will take offense. 10% will laugh. Ha ha – that’s awesome! Most won’t get the reference – but its still awesome. I remember being 7 years old and seeing that ad in SOF. I think I was about 14 at the time I saw a picture of that recruiting poster in SOF. It was bothering me with that “I know I’ve seen this somewhere feeling” and then it just hit me. Freaking funny. Put that FAL back right now! It’s meant to. 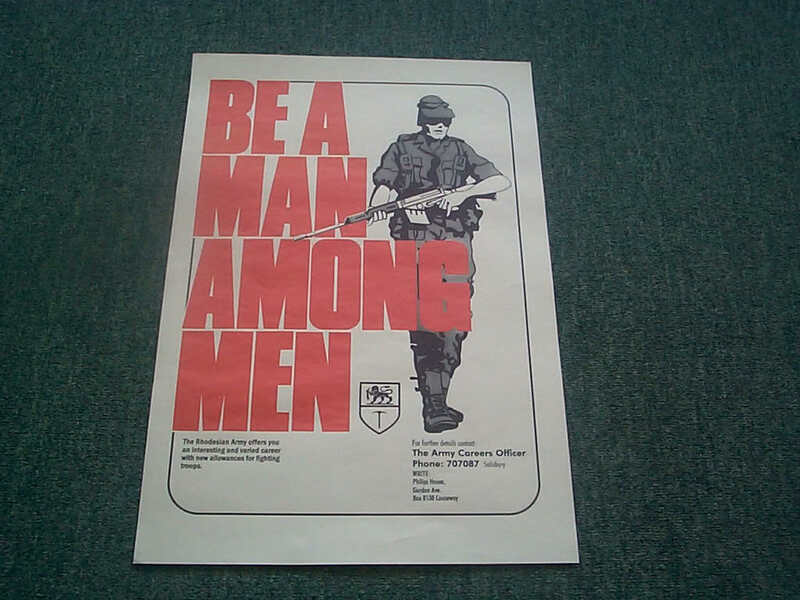 That’s a spin on the “Be a Man Among Men” Rhodesian Army ad that ran in SOF. Awesome Sauce! I remember seeing that ad many a time in my childhood when I used to thumb through SoF at my neighborhood 7-11. I only got it because gunblr has a major Rhodie fetish…. Might be one of those things that skip a generation and come back.